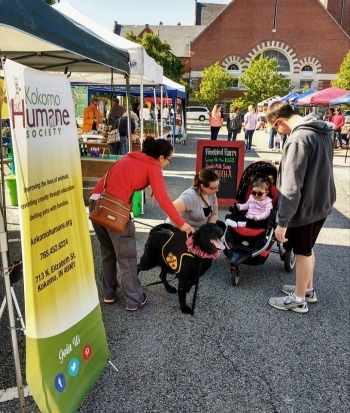 There are so many activities that the Kokomo Humane Society is involved in that we want to make sure that you don't miss out. Be sure to check out our Website often and also if you haven't already "liked" us on Facebook, be sure to do so. That way you won't be missing out on all we have to offer. Check out the Kokomo Perspective and the Kokomo Tribune﻿ for articles about our activities. Hoosier AM/FM sponsors our larger fundraising event so listen here for upcoming events. Special reduced adoption fee events.